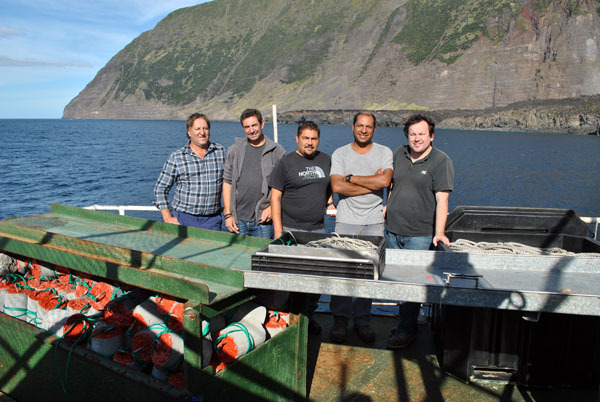 Great work from our Tristan da Cunha Fisheries Dept working closely with CEFAS, RSPB, UK Government Blue Belt, and Cefas. Thanks All. (Warren Glass, Rodney Green and Adrian Swain), centre, and Cefas fisheries scientist Ramon Benedet, right. 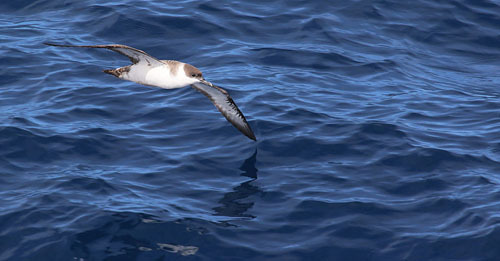 Seabirds such as albatrosses, petrels and shearwaters often travel thousands of kilometres when foraging at sea, travelling far beyond the safety of Tristan's 750,000 square kilometre Exclusive Economic Zone (an area of ocean where use of natural resources is controlled by Tristan) and into the high seas of the South Atlantic Ocean. It is once seabirds are out in the high seas that fishing is out of Tristan's control. However, Tristan recognises how important their waters are for these seabirds and they're setting a fantastic example, taking positive conservation action to protect their seabirds. Organisations including BirdLife International and the RSPBs' Albatross Task Force (ATF), and The Centre for the Environment, Fisheries and Aquaculture Science (CEFAS) have come together to support the Tristan da Cunha government to ensure their fisheries are sustainable – and that means reducing any potential impact on seabirds around the Tristan da Cunha Islands. In this project Tristan Fisheries Department introduced further mitigation measures for longline fisheries. With advice on best practice from the Agreement on the Conservation of Albatross and Petrels (ACAP), longline fisheries were required to use paired bird scaring lines (a line of streamers used to deter seabirds from coming close to the boat and feeding from baited hooks); line weighting (to sink hooks quickly); defrosted bait (so the bait does not float); and to set hooks at night (when birds are less active) if they were going to fish in Tristan waters. 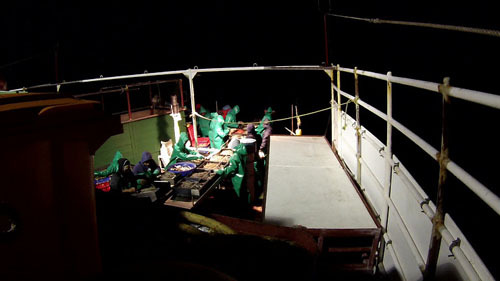 Tristan Fisheries Department quickly enforced the strict controls on line weighting, and the Albatross Task Force in South Africa provided advice to perfect the bird scaring lines. To check the effect of the new measures, observers monitored all fishing operations around Tristan da Cunha to quantify seabird interactions with vessels to be compared to interactions before the new mitigation measures were put in place. The dedication of Tristan staff has resulted in a better understanding of the relationship between fishing and seabirds. Just before their migration, Great shearwaters forage much more aggressively to quickly capitalise on the available food and to build up their reserves for their vast migration North. The team found that, even with a suite of mitigation measures, the deep-diving and aggressive foraging of shearwaters meant these seabirds could still access baited hooks, sadly leading to incidental mortality. Equipped with this knowledge, it was clear that further protection was needed to keep Great shearwaters safe during this important time for this particular species. 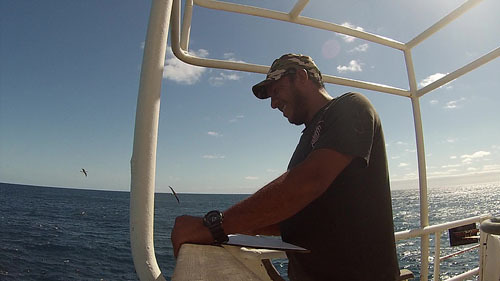 With advice from CEFAS, Tristan da Cunha continued to take a pro-active approach for the best interests of its seabirds and implemented a seasonal closure of long-line fishing in Tristan waters from February to June, providing the most effective measure possible to protect the seabirds. Now that the 2018-2019 fishing season is underway, Tristan staff, with an additional observer this year made possible through Bluebelt funding, continue to monitor fishing activity and the effect of their mitigation measures as part of their long-term fishery management. 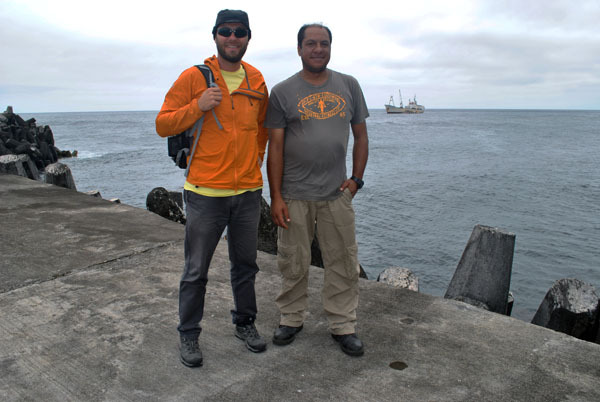 Tristan da Cunha is the RSPBs' primary partner in the Gough Island Restoration Programme. The combined efforts to prevent seabird bycatch and the 2020 mouse eradication will help restore Gough Island and its surrounding waters as a seabird haven. See https://www.goughisland.com/blog/tristan-da-cunha-take-positive-action-to-prevent-bycatch for their full story and links to previous reports.